When is the Best Time to Prune a Magnolia Tree? Magnolia is an incredibly attractive tree that produces tulip or star-shaped flowers during the spring or summer. They can be evergreen or deciduous although the deciduous type is more common UK wide. Because the magnolia tree produces flowers at a time when leaves are less prevalent, it allows the beauty of the blooms to really shine through which is why this is such an attractive tree. Magnolia is one of the longest standing plant groups that remains in existence to this day following a history of some 20 million years. Some plants related to the magnolia date back 95 million years! 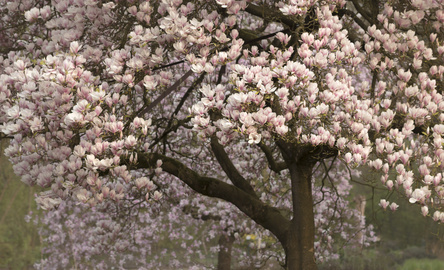 Magnolia trees have been cultivated in gardens since at least 600 AD. Why prune a magnolia tree? It is best not to over-prune a magnolia tree as pruning tends to encourage the production of wispy shoots which can spoil the plant’s shape. Also take care because pruning can lead to a reduction in flowering for up to two years. It is therefore widely recommended to avoid magnolia tree pruning unless there is a need to keep the plant in check, for example if it appears to be outgrowing its space. Pruning a magnolia will not damage it but it will encourage the growth of wispy shoots which detract from the shape of the plant. Pruning can also cause flowering to reduce for a couple of years. So, the rule with magnolias is to avoid pruning them unless they are outgrowing their existing space. Your main aim is to prune out any diseased branches to keep the tree healthy, and to remove any crossing branches that rub together and damage the tree. Magnolia tree pruning should have the aim of keeping the centre of the plant open so that a main stem becomes prominent. When is the best time for magnolia tree pruning? Where pruning is necessary, try to spread it out over a minimum of two to three years. For deciduous magnolias, remember your aim is only to remove deadwood and water shoots. Heavy pruning will encourage the growth of water shoots and could even lead to dieback. If you are looking to limit the size of your magnolia tree, stage the pruning over a number of years otherwise you could stress the tree. Late winter or early spring pruning should be avoided as cuts at this time of year will bleed sap which attract disease-yielding bugs. Ensure deciduous magnolia tree pruning is done only between summer and early autumn. If you have an evergreen magnolia tree, you will rarely need to prune it other than to shorten young branches and remove any lower ones if you are looking to create a bare-stemmed effect. If there is storm damage, you will usually get away with hard pruning but try to spread it out over a few years. Free standing evergreen magnolia trees can be pruned in spring just as they start to grow. For wall-trained specimens stick to summer. If you have a young magnolia tree then you may find slugs something of a problem as they will be enthusiastically attracted to the tender leaves. You’ll need to take steps to rid the area of slugs up until the tree reaches the age of about five years, after which time it should survive an attack under its own steam. Rabbits are also attracted to magnolia bark, so be sure to protect your tree with a tube around the lower stem or install some wire mesh fencing. Look out for yellowing leaves. This could be due to overly alkaline soil which is preventing the uptake of vital nutrients. If you spot this then you’ll need to use an ericaceous fertiliser and mulch every year with ericaceous compost. If you spot blackened buds or flowers this could be down to frost damage. Other issues to look out for are bracket fungi; honey fungus; Phytophthora root rot and brown leaves. 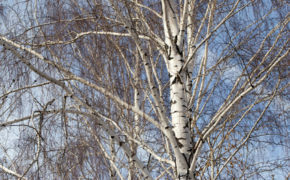 Never go ahead with any tree work where a Tree Preservation Order (TPO) is in place. If there is then there is a requirement to make an application to the local authority for permission to undertake works. Such permission may take up to eight weeks to be granted. In addition, if the tree is located in a conservation area, you will require official permission before undertaking works of any kind. If you want to ensure your magnolia tree is correctly looked after and maintained in immaculate condition and looking its beautiful best, then it is wise to call in the assistance of a qualified tree surgeon. Tree surgeons are trained and qualified professionals who are aware of the precise methods and timing when it comes to magnolia tree pruning. In addition they know how to identify and resolve any signs of disease or pest infestation. When selecting a tree surgeon, make sure they can show you checkable references and certificates that prove their qualifications. Also request to see their insurance documents for peace of mind that you are covered for the work being undertaken. Lastly, where possible, engage a tree surgeon with Trading Standards and local authority approval for a guarantee of quality and value. If you have a magnolia that requires pruning or checking over, why not contact T.H. Tree Services? As fully qualified and highly experienced Trading Standards and local authority approved tree surgeons, we can provide specialist knowledge across all aspects of magnolia tree pruning. For a free, no-obligation quotation, contact our helpful experts on 01268 642814 or get in touch here. 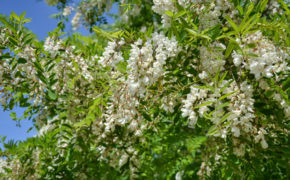 When Should I Prune my False Acacia Tree?